Tarzan of the Apes is a 1918 American action/adventure silent film directed by Scott Sidney starring Elmo Lincoln, Enid Markey, George B. French and Gordon Griffith. 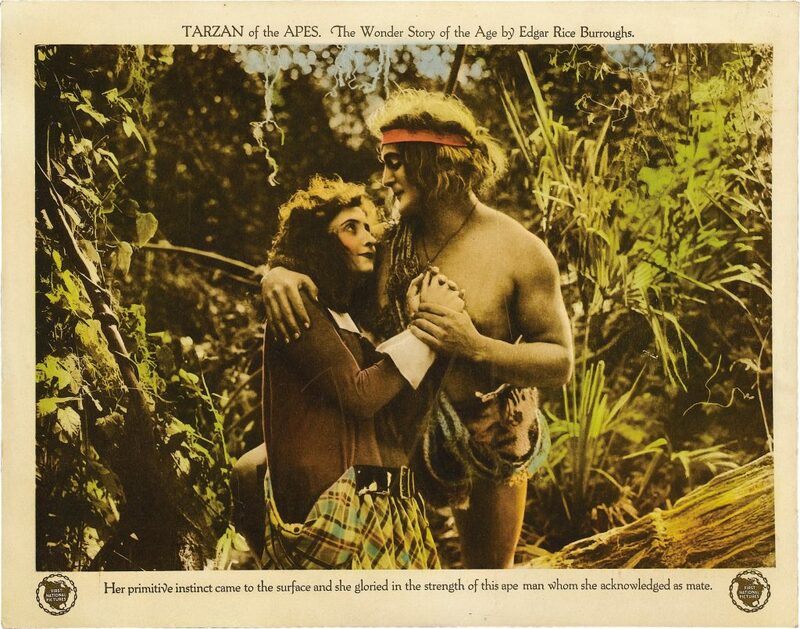 It was the first Tarzan movie ever made and is based on Edgar Rice Burroughs’ original novel Tarzan of the Apes. The movie adapts only the first part of the novel, the remainder becoming the basis for the sequel, The Romance of Tarzan. The film is considered the most faithful to the novel of all the film adaptations. Its most notable plot change is the introduction of the character Binns and his role in bringing the Porters to Africa; the novel brought them there through the improbable coincidence of a second mutiny.